Oska™ Pulse: Reduce Your Pain, Address Injuries, Target Chronic Inflammation! I was given the Oska™ Pulse to try as being part of the Chronic Illness Bloggers network. I must say, this device is AMAZING! The Oska™ Pulse takes advantage of the electronically sensitive nature of your body and creates a safe, localized electrical field in the vicinity of your pain to encourage the natural healing process. I have several long-standing injuries that just weren’t healing properly, and this device truly has helped these injuries to significant gain ground. I had a knee injury and it felt like I had literally tried EVERYTHING to help it heal. It didn’t even take very long before I noticed that my knee was better. I could also feel – and I noticed – that there was better circulation to the injured area. Again, lack of circulation in knee injuries is, I believe, a factor in them not healing or taking much longer to heal. I could also feel – and I noticed – that there was better circulation to the injured area. Again, lack of circulation in knee injuries is, I believe, a factor in them not healing or taking much longer to heal. Also, I am very sensitive, so I can tell and feel almost instantly if something is working for me. That’s not to say that things don’t take time, but our bodies can begin to move toward well-being in any moment. This device has been such a lifesaver, not only for helping my knee injury gain ground, but in helping other injuries, like a shoulder injury. It also really helps to calm and regulate my nervous system, a by-product, I am sure, of the intermittent light pulses. Repetitive sounds, etc. can help to send the body into The Relaxation Response. But, this device and it’s PEMF pulse technology is particularly helpful to my nervous system. This is a simply wonderful device, that is small, portable, lightweight, and is an FDA Class 1 Registered Medical Device. It emits a soft light and pulse, and I also find it very calming to my nervous system. It emits 4 different wavelengths as well, to address inflammation, circulation, cartilage, regeneration of nerve cells, blood vessel growth, activating osteoblasts, etc. The Oska™ Pulse has helped a long-standing knee injury by reducing pain and inflammation, and increasing circulation. This last part is crucial, as many knee injuries don’t heal well due to poor circulation in the knee area. This device truly works! It has helped me consistently to reduce pain and inflammation with several injuries. It works every single time, and the effects are cumulative. Note: this is also a wearable pain device, which can be a lifesaver for those in pain on the go, or who need a hands-free situation. How does the Oska™ Pulse work exactly? “Drug-free” is no small thing these days, especially when we are talking about chronic pain. We have an epidemic on our hands with prescription opiod overdose deaths. We clearly need an alternative to prescription pain medication. Here is the link to The Oska™ Pulse website for more information, as well as to their Facebook Page! His veterinarian was at a loss with what to do next. 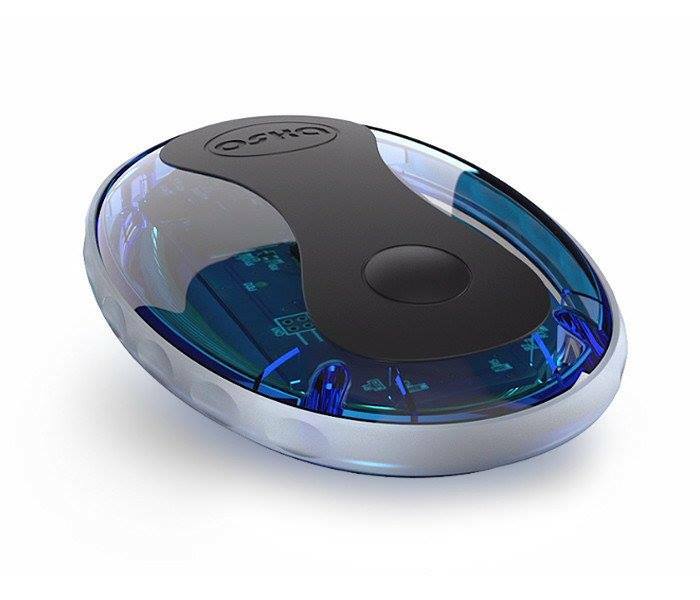 He was recommended to The Oska Pulse to create an electromagnetic field around aches and pains. Oscar’s wounds began to dry and heal, and he was also “sobbing” less. He was then released back into the wild. So, they named the device after him! A happy ending, yay! !